I was originally going to do a vlog then my inner critique started kicking in and I just couldn’t film a good video and it just started getting late so I decided to write out the post instead! Today is a VERY special day! Tranquil Dreams is 4 years old! YAY! 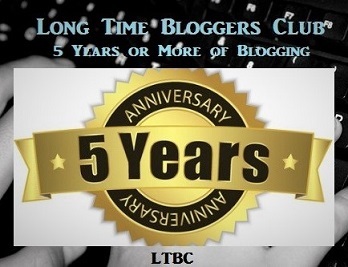 I can’t believe that its been 4 years that I’ve been writing this blog. It is definitely one of my biggest accomplishments and one that I’m extremely proud of. Tranquil Dreams started from my desire to fuel my life’s with a lot of positive through my passions and interests. Its been a whole lot more than that since, I’ve lost my way and then found it all over again. Tranquil Dreams has changed me in a really awesome way and honestly, as much as I always could say that its a lot to do with my willpower to keep at this, it wouldn’t have happened without ALL OF YOU! Everyone of you thats stopped by, liked, commented, or even just checking this space out makes me happy. I’m announcing 2 long-term projects. You can see the pages up in the menu. I read a lot during the year. In 2015, I’m still doing the 40 books for Goodreads Reading Challenge. Although I check out a lot of books, I neglect reading Classics. So this year, its to work on that. My first highlight is to read Jane Austen’s novels plus a few that I’ve chosen. The list will be updated in the page under Books in the menu. If there’s any novels that I should check out, feel free to suggest! Concept as simple as it sounds. I’ll be watching Disney Animated Classics and Pixar. I’ll get a review done and then I’ll make a fancy baked goods. It could be cupcakes (which was the original concept) but it could also be cookies or cakes, depending on what I come up with to portray the movie. More details and the list up on the menu. Because it covers two categories of Tranquil Dreams, I gave it its own tab. 2015 is all about going back to versatility. There’s going to be a bunch of randomness. I’m going to do random Pinterest Therapy and Music Obsessions plus show some of the “adventures”. Generally, I’ll be covering events and exhibits around Montreal . Right now, I’m set to do Fantasia Film Festival, Montreal Comic-con and planning to go to Toronto Comic-con. Book reviews will resume to full book reviews (since I really missed that last year). Aside from classics, my focus is going to be on featuring independent writers. Movie reviews will be done as frequently as I can do them. If I feel that some movies are rather average, I’ll group them into double features. Thats the plan for 2015! Depending on how these plans go, maybe I’ll launch something else midyear (not sure yet). I had wanted to get a rating system on but I haven’t quite worked that out either. Lots of ideas going on in my head but for now, this is it! STAY AWESOME AND HAPPY 2015! Wow, 4 years. I always love visiting your blog. Keep up the excellent work Kim. Congrats Kim! Happy Blog B-day! Looking forward to seeing what you have ins tore for us in the coming year! Thanks! 🙂 I’m pretty excited about my projects which should get its first post soon. Another blogathan? Can’t wait to see what it is!!! Can’t wait to see ur posts on these new projects! Congratulations and keep up the good work! Thank you very much for listing me as well :-). Looking forward to reading your new posts, good luck with your challenges! It really is…haha! But its also a neverending learning process 🙂 Which I totally love! Thanks for the mention 🙂 I really love your blog and am especially excited to read the Classics reviews! I adore Jane Austen and hope you do too!! Which two have you read? I’ve read those two. Emma is one of my favorite books ever! Thank Zoe! I’m not so worried about Jane Austen as I am at planning (attempting) to read Anna Karenina…haha! That sounds like my girl!…hope you don’t mind saying…”my girl”…because I feel I know you that well…like a Granddaughter of sorts…Stay positive Kim!…you will go far! Four years! Congratulations Kim. You should be proud. You have a great blog. Thanks Drew! I’m really excited about the Disney project. Been wanting to do it for a long time 🙂 Hopefully I’ll get the first review out soon. Congrats! That’s one hell of an accomplishment! Hey Kim! Awww, I’m blushing here. You too are totally in the awesome zone. Thanks! Same to you 🙂 Wishing you all the best in 2015! 4 years old – congrats on making it so long. Also, thanks for the nod. i am late to the party, but happy blogging birthday … i LOVE your movie index!! what a list!! I’m usually late to a lot of posts so thats alright 😉 Thanks Niall! 🙂 Glad you like my movie index! I gave it some thought. I was wondering if it could be something like baking? Haha! I know its not music/movie/books but I could do some Irish culture recipes or something. It could actually be kind of fun…. Just wondering. If you really want those 3 I’d figure out something else. absolutely!! anything you’d like; if you’re fond of baking, by all means post something about it. there’s a badge you can grab and put on your site and then just link the post back to my blog or to 746 Books or else just to the FB page. 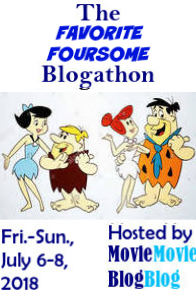 No pressure, it’s meant to be a fun blogathon, so please, enjoy!! Okay! I’ll have to research on what to make. Unless you’d like to suggest. Haha! I’m sure I can get most ingredients in Canada. anything but bacon and cabbage!!! I thought about that. I just found a recipe for it online this morning. Maybe I’ll test it out. Is there anything else? Like meal dishes, maybe? I could give that a shot too, if you’d like. Everything looks cool. Still searching up pandy… But I’ll skip on ice cream. Its not like its not cold enough this year..haha!